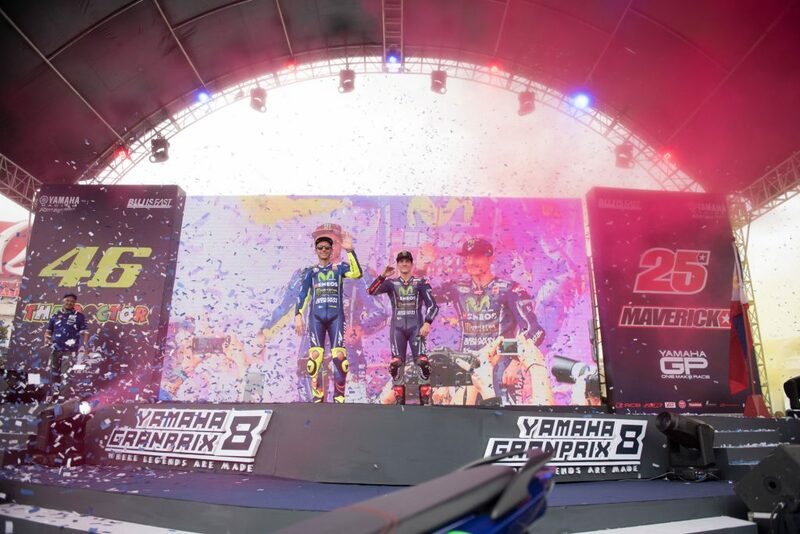 Manila, January 28, 2017 — What a way to start the year by Yamaha Motor Philippines; the arrival of “The Doctor” Valentino Rossi and “Top Gun” Maverick Vinales was an event that went above and beyond anyone’s expectations. 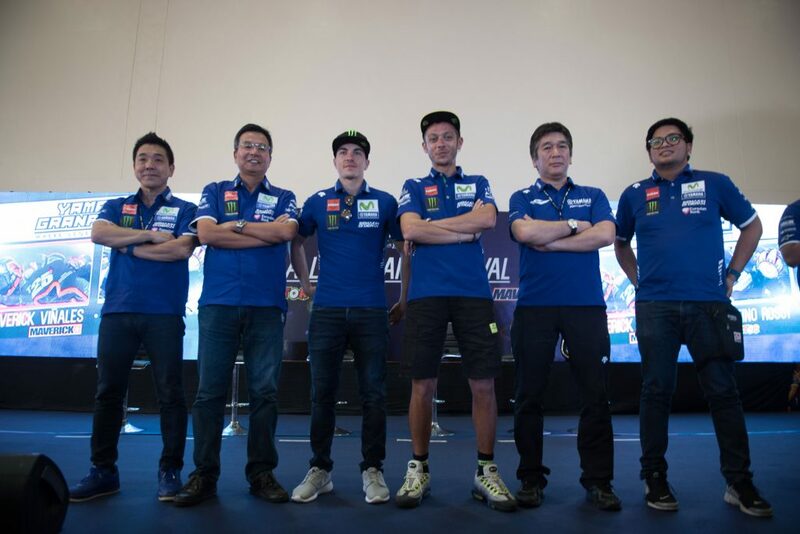 The two icons for Yamaha Racing were introduced for the first time as new teammates before they embark on their maiden MotoGP season together. Just before dawn on a Saturday Morning the two riders landed in Manila from Indonesia and even after a tiring trip they were all smiles for the cameras as they exited the airport. It was a short rest for them as they headed to Robinsons Novaliches Trade Hall for their press conference. 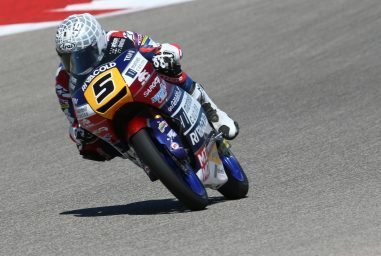 The jam packed venue was mixed with supporters of both riders who waved red and yellow flags respectively. 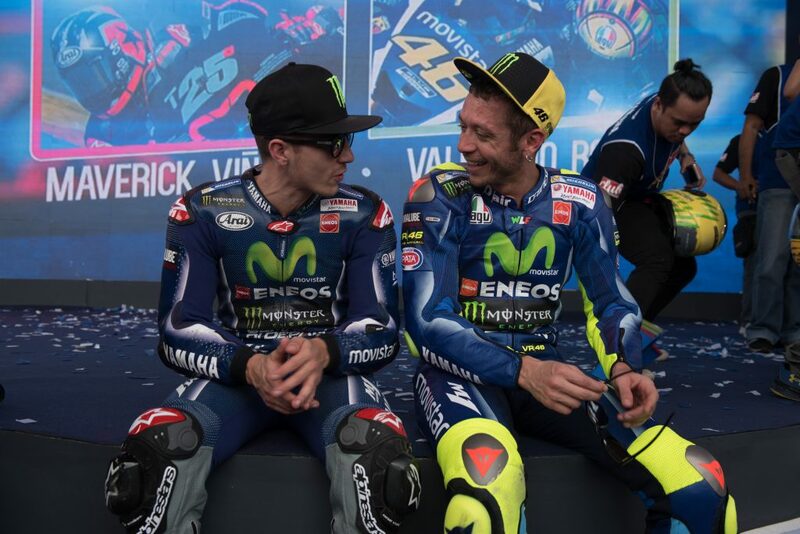 As Maverick and Valentino came on stage they were greeted by a thunderous roar. 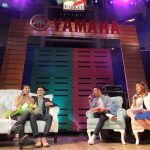 For the young Maverick, this was his first time in the country and could not believe the overwhelming support of the Filipinos for him before he formally starts his career with Yamaha. 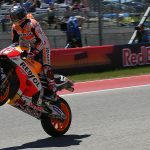 It was a display that he appreciated immensely and hoped he could properly reciprocate with his performance in the MotoGP. 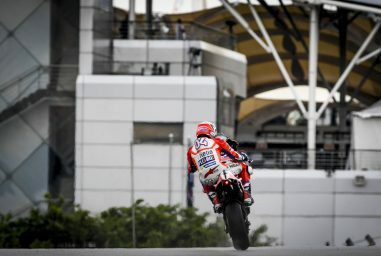 He shared to those who aspired to reach the level he was on that they do not need the best facilities or the best circumstances to achieve greatness; all it takes is passion and determination to succeed, that the desire to win can take you and your motorcycle anywhere. 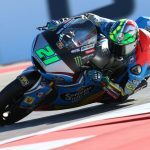 He also stated that the opportunity to race alongside Valentino will make him an even better rider and their good relationship will be the key in winning together. 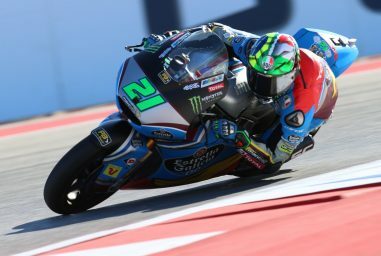 His opinion on why he moved to Yamaha was how much better he could become with the a racing team filled with championship experience guiding him, the class of machinery he will be using to reach his maximum potential, and revving alongside one of the best to ever ride in the MotoGP. 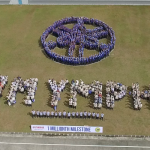 The returning Valentino seemingly doesn’t get used to the outpouring support he gets in the Philippines. After competing for more than 15 years he is still grateful and overjoyed by the love he gets in this part of the world. Beyond his fame and championships, it was the witty charm of the all time great that makes him popular as he drew laughter from the crowd with his quips. He looked forward to one day training a Filipino in his camp and cited that it takes patience to develop talent. 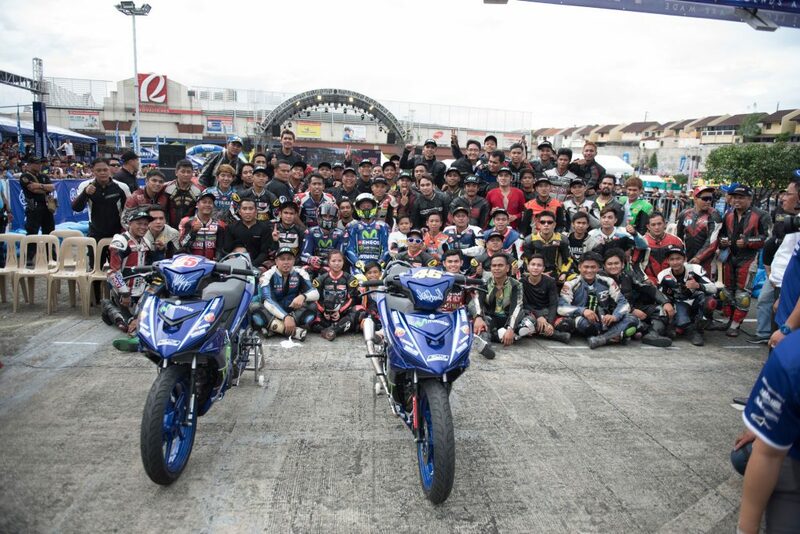 It’s important for programs like the Yamaha Grand Prix to ensure growth and passion of aspiring riders. 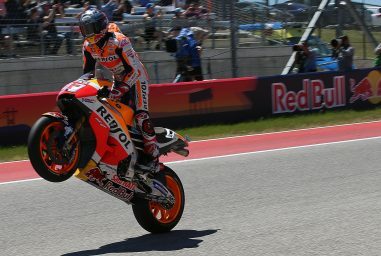 As to how long he was going to race, it was still up in the air for the 9-time World Champion. 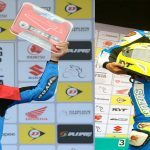 He recognizes that he is already seasoned and will have to hang up his helmet one day but before that happens he had a surprise that every Filipino will cherish. 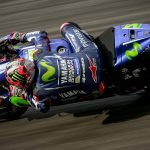 When the 2017 MotoGP season starts his YZR-M1 will have a sticker of the Filipino flag as he represents the country all over the world; this news was naturally received with deafening applause and cheers. 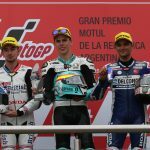 He ended his remarks with an advice for his new teammate “Go Slow” a joke that made everyone laugh. Of course he said that remark was because of how much talent Maverick had and his admiration of how good the his new partner can really be. 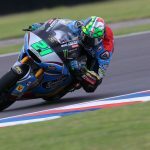 After the press conference it was time for some action on the racetrack. 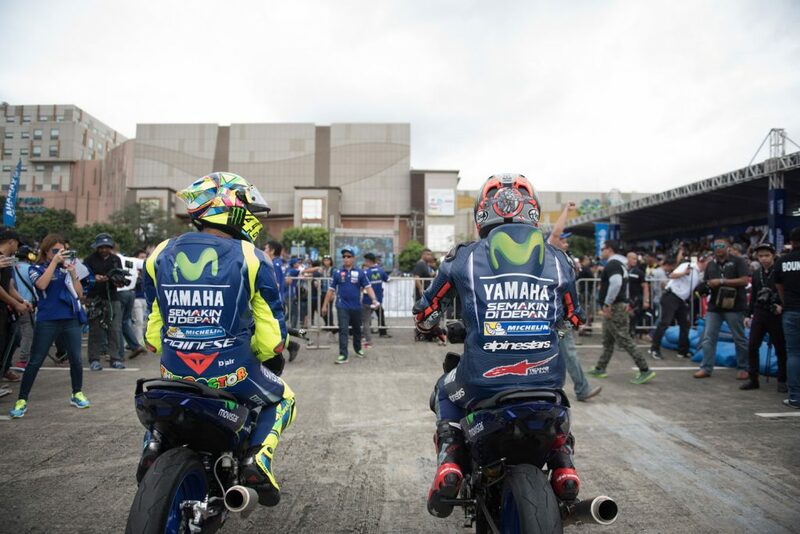 This was the first time the public will witness the duo in action; they rode a specially designed Sniper 150 MXi that showcased MotoGP graphics and the riders’ signature monickers. Thousands were around the track and their appearance caused pandemonium because of the uncontainable excitement. 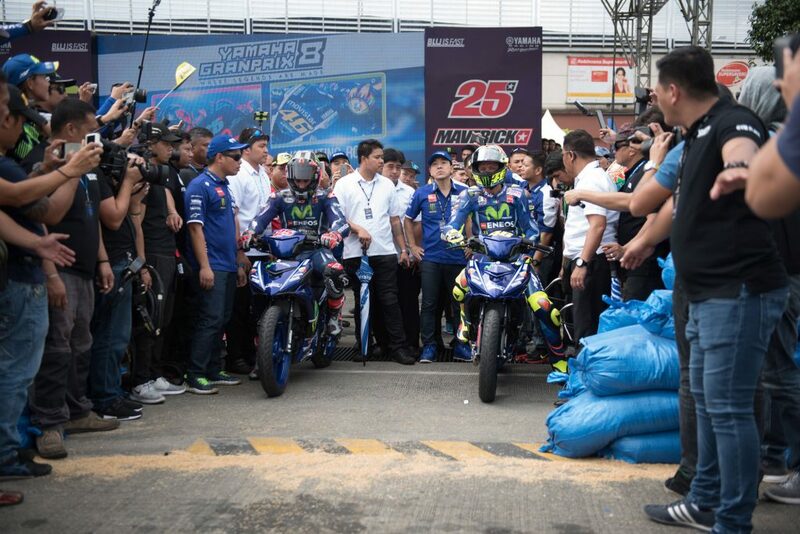 When they finished their laps they greeted the Filipino crowd one last time as they stood alongside Yamaha Motor Philippines President – Toru Osugi to declare the Yamaha Grand Prix 8 officially open. 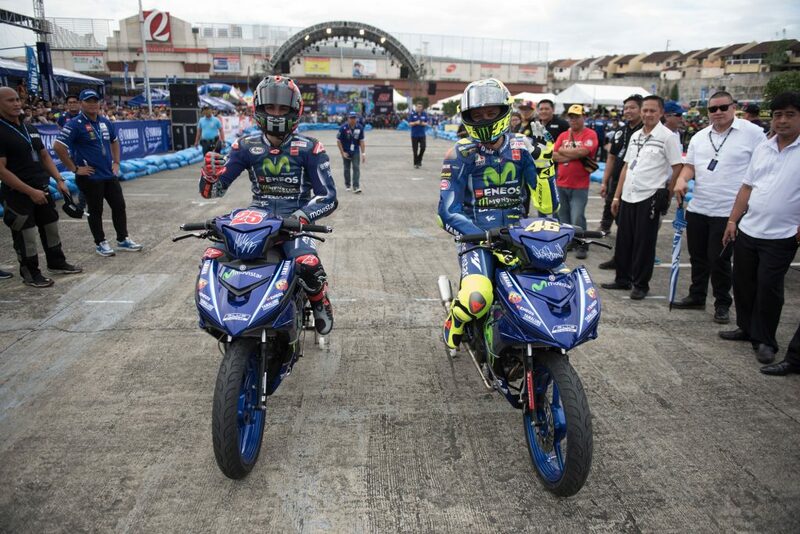 Valentino and Maverick waved to their fans when they bid farewell as their eyes glistened because of the joy that they had given and received. 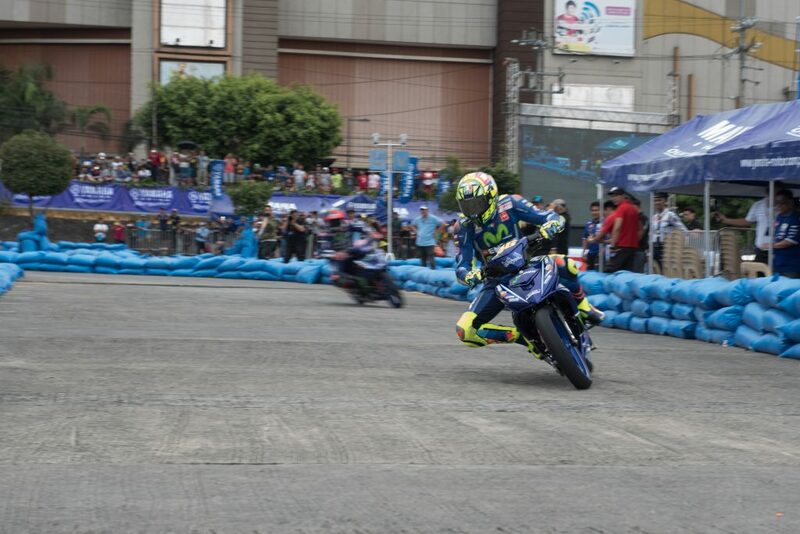 It was an unforgettable experience for everyone and for Valentino and Maverick to have their hearts Revved by the Filipino people is a milestone that is absolutely astonishing. 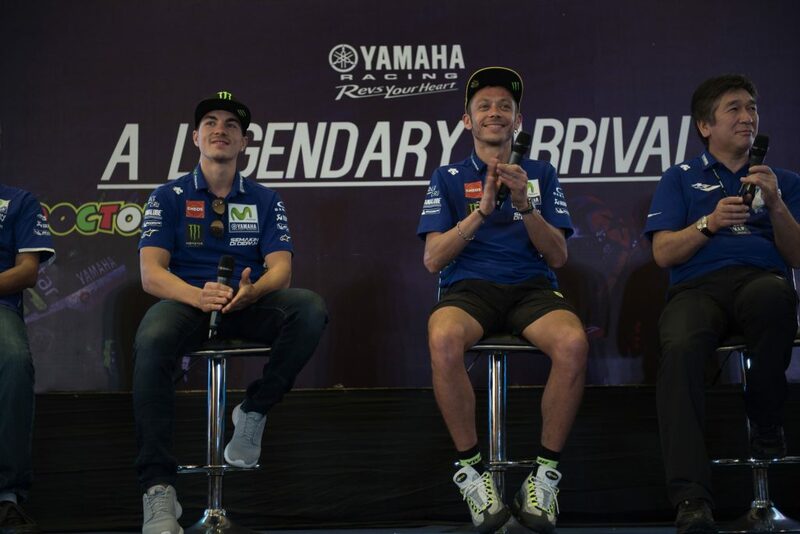 Now it’s time for Valentino Rossi and Maverick Vinales to show the world how their partnership exemplifies the Excellence of Yamaha Racing. It’s time to see how Legends are made.